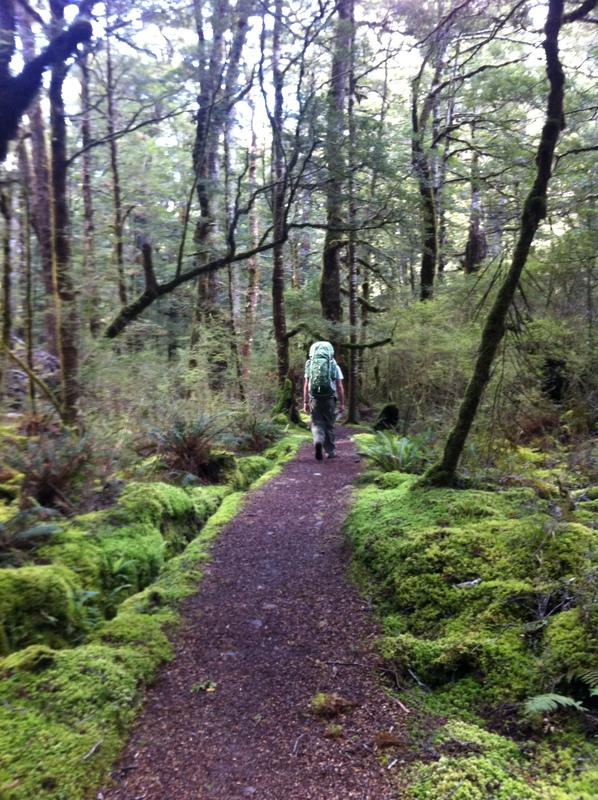 New Zealand’s Department of Conservation (DOC) has put together a series of 9 well maintained trails that pass through breathtaking scenery and have basic accommodations or campsites every 5 to 15 kilometers. 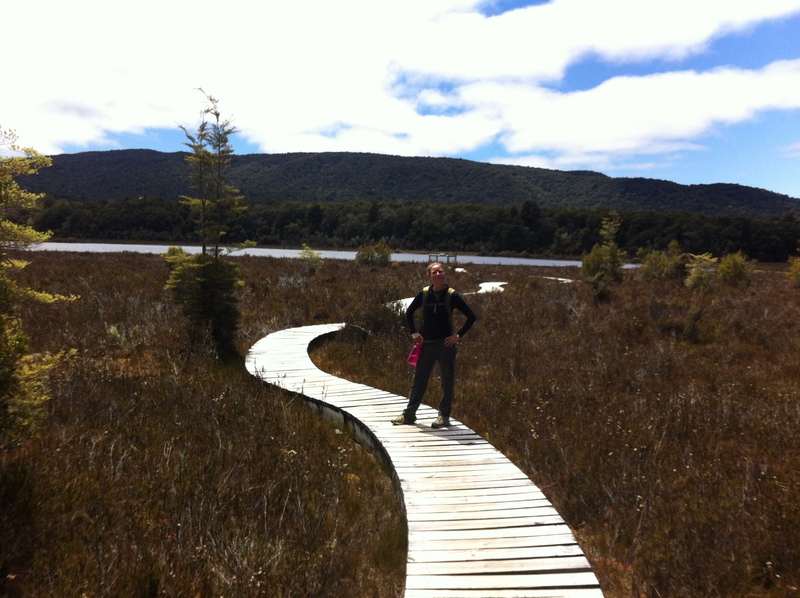 These paths are known as the Great Walks; Kepler Track was our first one. Huts must be booked in advance so we adhered to the DOC guidance and reserved one night in each of the 3 huts: Luxmore, Iris Burn, and Moturau. Upon arrival in Queenstown we hired a car, stocked up on groceries, and drove a couple hours southwest to Te Anau. After a delicious dinner and a sleepless night we got on the trail early. 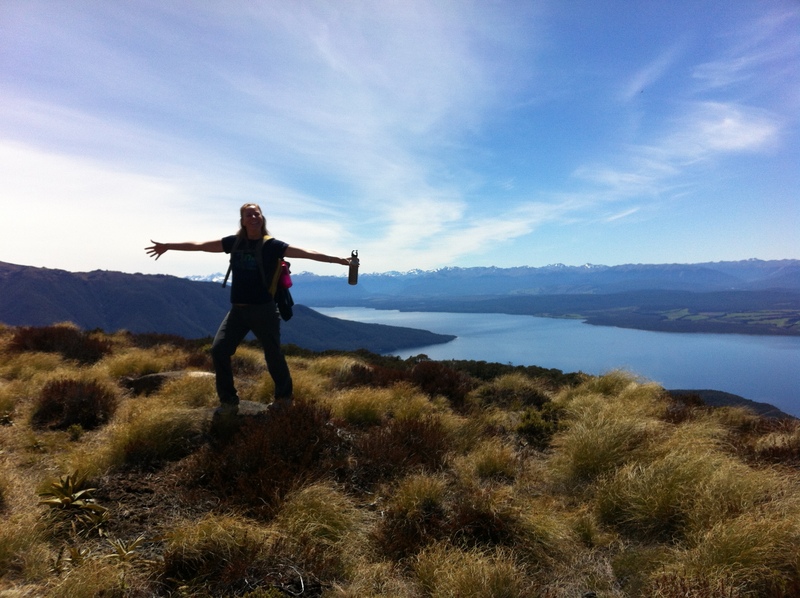 Hiking in a counterclockwise direction, we skirted Lake Te Anau and began a steep incline headed inland. Along the way we looked back to see Te Anau township and where we started our day. Just when I did not think I could climb anymore, Luxmore Hut came into view. After a tough 13.8k the first day was complete! The hut was well equipped with indoor toilets and gas burners in the kitchen. No electricity meant an early bedtime and we were soon awake and cheering on the Kepler Challenge participants. Once a year there is a race in which runners complete the entire 60k track in one day. They were inspiring and incredible to watch! We waited until most of the racers passed, then began our 14.6k hike to the next hut, Iris Burn. It was an intense climb to the ridge. Once there it was rainy and windy. 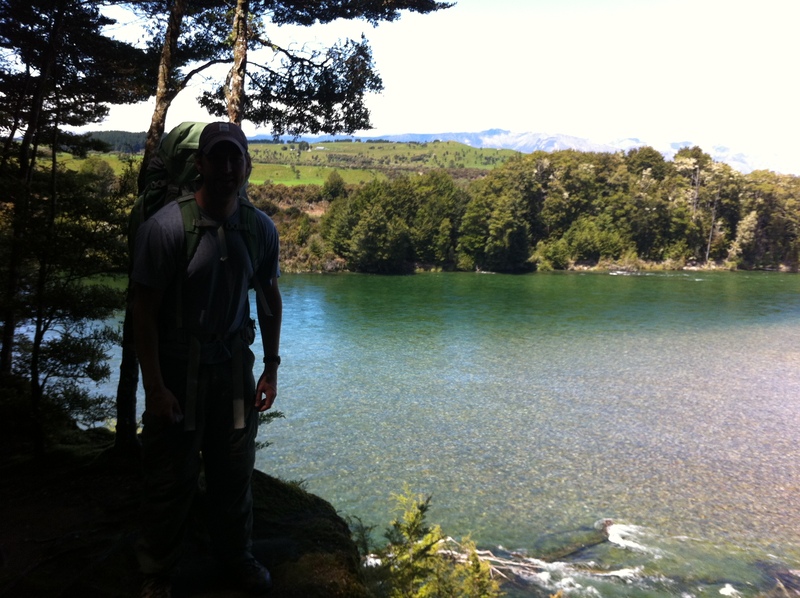 For a couple hours we traversed the undulating trail, occasionally pausing to admire our progress and the views of lakes Te Anau on our right and Manapouri on the left. Finally, we began the descent. Knowing our destination was at the bottom of the hill motivated me, but the decline took longer than expected and I had to stop for lunch. We reached Iris Burn just as the rain picked up. During a break in the weather we walked to Iris Burn Waterfall. After two days of hiking I was ready for a waterfall shower with my environment friendly soap, but the sand flies kept me from removing anything more than my socks. It was very buggy and we were forced to stay in the hut the rest of the night. With achy knees, we started the second half of the trail on day 3. After climbing above the treeline and seeing spectacular views from above the last two days I was not prepared for the beauty of the third day. We started walking through lush beech forest and a gorge. This gave way to bog and river views. After 16k we arrived at the last hut, Moturau, around midday. We had a reservation to spend the night there, but over lunch we decided to push on another 15.5k and complete the trek a day early. A 90-minute meandering walk along the Wairu River brought us to Rainbow Reach, a popular spot to exit the trail. However, we pressed on the final 10k through a variety of forest to complete the entire loop back to the control gates. By this point our knees were causing real pain and we limped back to the car, exhausted. I generally book accommodation in advance, but tripadvisor proved useful in a pinch. Our first choice had no vacancy, but recommended a motel nearby. Arran Motel had clean, comfortable rooms and most importantly, hot showers. We checked in, cleaned up, and walked into town for well deserved hot meals and cold beers. Looking back I am amazed at the diversity this trail offers and the stark contrast between the first and last days of the hike. When we were above the treeline and all around us was snow, rocks, dirt, and brown grass, it became hard to believe our eyes the next day when everything was so very green. Even tree bark had moss growing on it, giving the impression of life in every tiny corner. What an incredible introduction to the great walks! Which one will we do next? Arran Motel was clean and comfy if a few blocks from town centre. new world (queenstown airport) for supplies for trek. Transportation: flew AKL to ZQN; easy to get car from EZIrent, 2 minute walk from ZQN.